Gabby Salazar is a 23 year-old photographer from Greensboro, North Carolina. When Gabby was 11 years old, her father gave her a camera and she was hooked in just a few short minutes. Since that time, Gabby has traveled throughout North America and to over fifteen countries to take photographs. She has funded these travels through grants and through the sale of her images. In 2004 Gabby was named BBC Young Wildlife Photographer of the Year and in 2002 she won the Nature’s Best Photography Youth Category. Her work has been featured in numerous national and international publications. 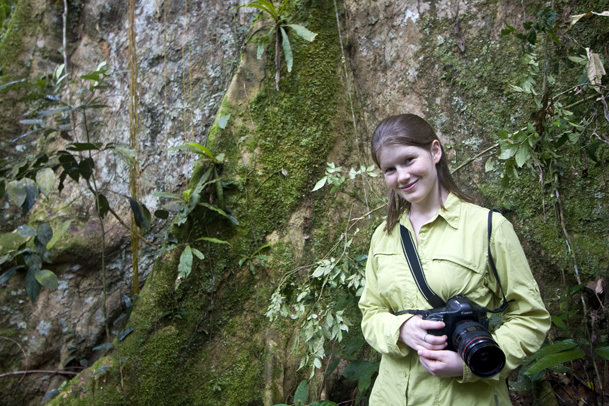 In 2006, she founded Nature’s Best Photography Students magazine with the help of publishers Steve and Deborah Freligh. The magazine is a free, interactive online magazine featuring articles and photos by student photographers 21 years of age and younger (www.naturesbeststudents.com). In September of 2008, Gabby was recognized by Glamour Magazine as one of the Top 10 College Women in the United States for her work with children, photography, and the environment. Gabby graduated from Brown University in 2009 with a degree in Science and Society. More of Gabby’s work can be seen at www.gabbysalazar.com. Rick is an undergraduate at Harvard University majoring in Organismic and Evolutionary Biology (OEB). 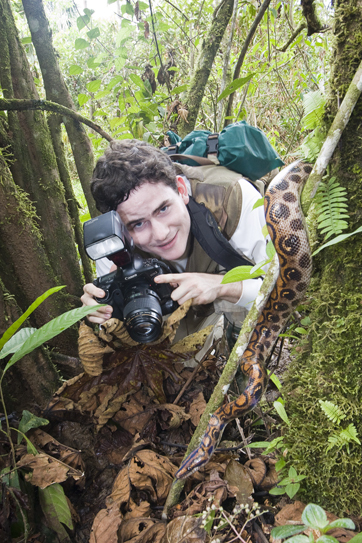 His primary interests are in tropical biology and nature photography, and he has spent months volunteering for conservation organizations in Central and South America. Rick has been pursuing nature photography for over a decade. He was named BBC Young Wildlife Photographer of the Year in 2006. Rick’s work has been featured in numerous publications including Nature’s Best Photography, Digital Photography Magazine, Chinese National Geography, the US Dept of State Electronic Journal, and books including Anoles, Lizards in an Evolutionary Tree by Jonathan Losos, The Dominant Animal by Paul and Anne Ehrlich, and The Birds of Punta Cana by David Roseanne. Rick is currently collaborating with researchers at the Smithsonian on a field guide to the longhorn beetles of Hispaniola, for which he is a co-author and primary photographer. Twenty-four of Rick’s images are currently on exhibit in the Harvard Museum of Natural History in a solo exhibit entitled “Tropical Color.” Rick is particularly interested in photographing little known and oft neglected species, and he has taken the first photographs of certain species new to science. You may see his work at www.rickstanleyphoto.com. This blog is not an official Fulbright Program blog and that the views expressed are your own and not those of the Fulbright Program, the U.S. Department of State or any of its partner organizations.